Richmond Hill Ontario Door Repair & Locksmith (647) 866-0956. We have over 15 years of experience in repairing sliding doors and that will be obvious once yours is fixed and moving as if it’s brand new. Sliding Door Repair Services Richmond Hill can assure our customers that their expectations will be regularly exceeded by our trained and speedy technicians. Our technicians are the best in the business when it comes to repairing most sliding doors. We have a large selection of rollers and parts on hand to fit almost any door. 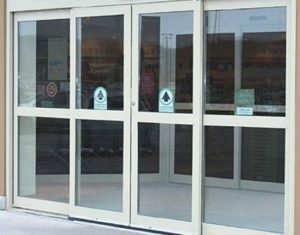 Sliding Door Repair Services Richmond Hill carry parts for many types and brands of doors so we can make repairs in one visit. Our service package includes replacement of rollers, properly aligning panels and locks, and cleaning tracks. In cases where there is bottom track damage, there are a couple of options available. If a track bead has waives, divots, or dents because of worn out rollers. Sliding Door Repair Services Richmond Hill install a stainless steel C cap over top of the damaged bead, filing in the divots with silicon and proving a smooth dent resistant surface for the door to roll on. If the track bead is damaged too severely for a track saver, track replacement is the only solution, besides a new door. We remove the panels from the opening, pull up the old track, loosen and pull the side jambs from the wall. We then apply a waterproofing adhesive in the corners and under the new track, fasten down new track with galvanized Tapcon screws into the concrete slab. Reattach side jambs, caulk inside and out and replace rollers at a discounted price from our normal repair cost. If the header (the supporting wood beam over the door) has dropped in the middle (header sag) and the doors are binding and not opening, there are two options. 1) A new door or 2) we would have to order new glass (1/8” to ½” shorter) and disassemble the frame, cut the sides down, and rebuild panels with new glass. Because of the extended amount of time it takes the header sag to occur, rollers in the door will most likely need to be replaced. If your patio door won’t open smoothly, Sliding Door Repair Services Richmond Hill can make it work like new. If your closet door or mirror wardrobe door is off the track or won’t stay on, we can repair or replace it for smooth easy operation. If your pocket door won’t open or close properly, we can make it better than new with our special state-of-the-art replacement track that makes it open and close with just a touch! Guarantee – Once Sliding Door Repair Services Richmond Hill have completed our job, you will be able to open your door beautifully! Our Time Service – Sliding Door Repair Services Richmond Hill will arrive within 20 minutes time span. We will be happy to call you when we are on the way. 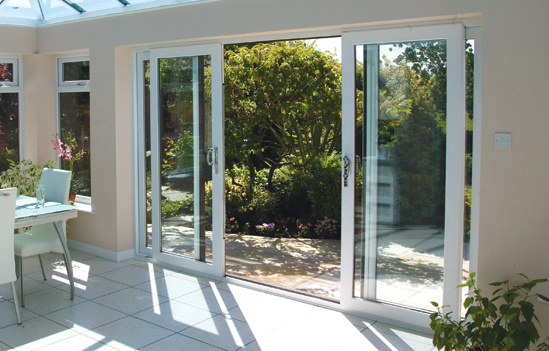 Qualified Technicians – Sliding Door Repair Services Richmond Hill are experienced with all ranges of repairs, and maintenance to your sliding doors. We fix the rolling and locking of new recent models to old and obsolete sliding doors.